McNally, Elizabeth J. Ward Professor of Genetic Medicine and professor and director, Division of Cardiology at Northwestern University Feinberg School of Medicine, received the prize on Sunday, Nov., 13, during the opening of AHA’s Scientific Sessions 2016 at the New Orleans Ernest N Morial Convention Center. AHA President Steven Houser, Ph.D., of Temple University in Philadelphia, presented the prize, a citation and $5,000 honorarium for outstanding achievement in basic cardiovascular science. Houser said the Chicago scientist is recognized for her integration of molecular and cellular biology with genetically engineered models of disease and human genomics, leading to the discovery of novel mechanisms of disease and the identification of new therapeutic targets. and muscular dystrophy,” Houser said. “This model closely parallels what is seen in humans with the same mutation.” McNally’s group also has generated several other animal models with a similar constellation of heart and muscle disease, AHA’s president noted. 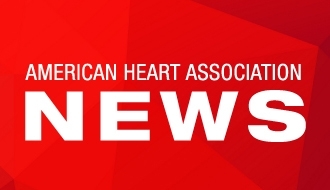 McNally has been honored twice previously by the AHA, receiving both an Established Investigator Award and the Basic Cardiovascular Sciences Distinguished Scientist Award. New Orleans, LA - AHA 2016 Scientific Sessions - Elizabeth McNally accepts the Basic Research Prize during the Opening Session, here today, Sunday November 13, 2016 at the American Heart Association's Scientific Sessions being held here at the Ernest Morial Convention Center. Scientific Sessions is the leading cardiovascular meeting for basic, translational, clinical and population science, in the United States, with more than 19,000 cardiovascular experts from over 105 countries attending the meeting.